Using Windows 8/Surface? Pin us for our latest news! 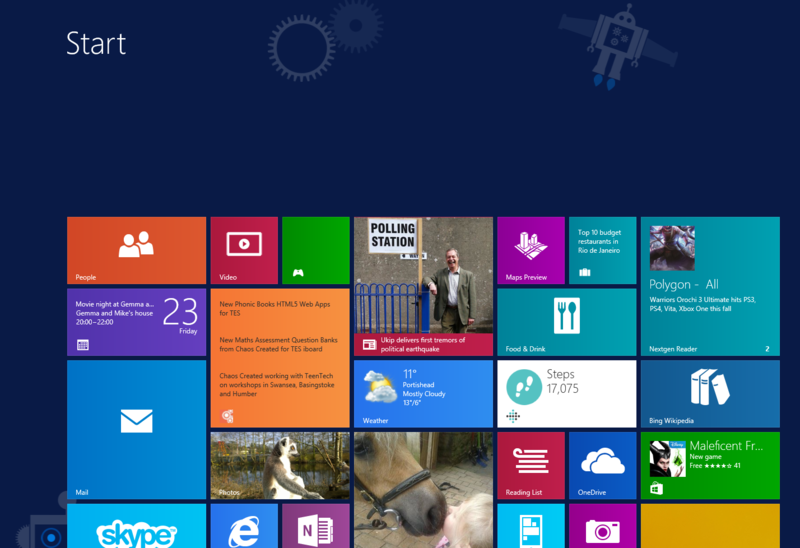 If you’re using Windows 8 or a Surface tablet, you can now pin Chaos Created to your start screen, as if we were an app! 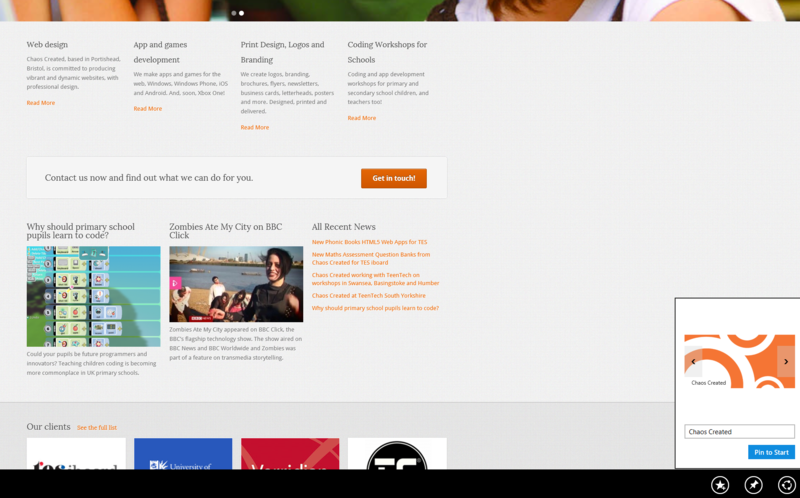 You’ll see our latest news and projects, right on your Start screen. To do this, just click the Favourites icon in Internet Explorer, and tap the Pin icon. You’ll then be able to pin our tile, either as a small, medium, wide or large tile, which will flip and display our latest news.